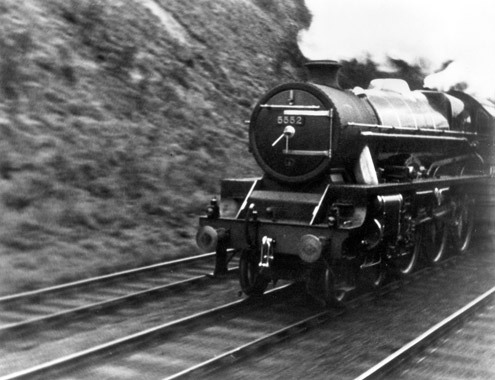 Night Mail holds an iconic place in British culture. Say the words ‘this is the Night Mail crossing the border’ and you’ll likely get the response, ‘bringing the cheque and the postal order.’ But critics haven’t always been so impressed. There’s a strand of thinking that says Night Mail is a classic of British documentary by virtue of being the one that everyone knows. This is a critical assessment worth picking apart, because Night Mail is far more than the film of the poem. 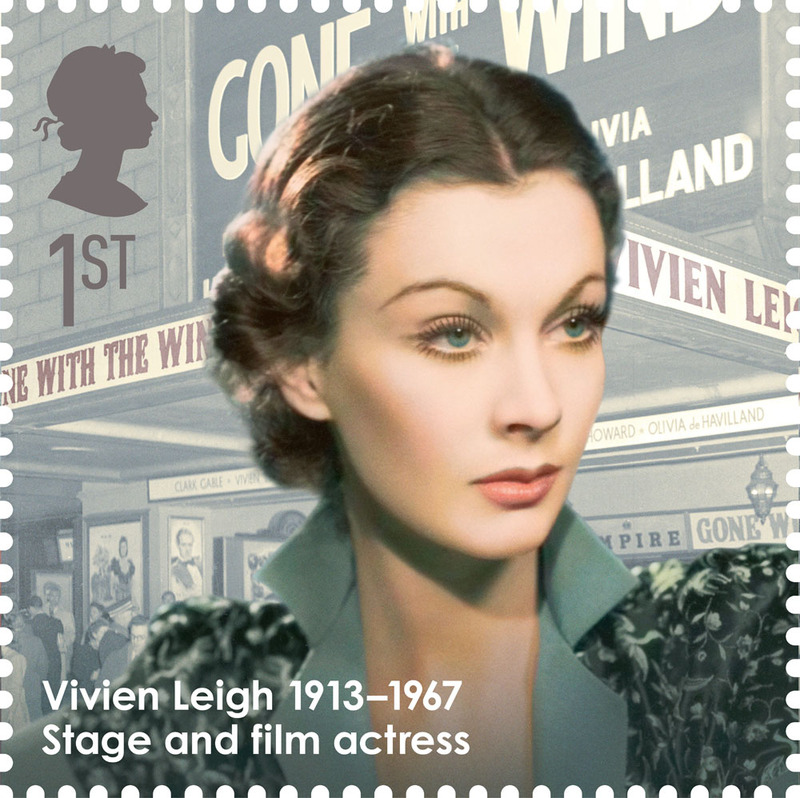 Commissioned in 1935 to commemorate the centenary of the travelling post office, Basil Wright sought to apply the lessons of silent Soviet cinema to inter-war Britain. Viktor Turin’s Turksib was an important model. Borrowing techniques from Hollywood (Turin was obsessed by Westerns) Turksib tried to turn social, political and technological exposition into an exciting tale of progress. 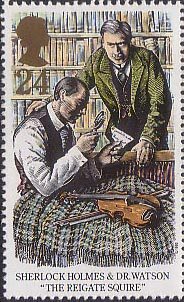 He cast the train between Turkestan and Siberia in the role of the lone gunslinger bringing order to the frontier. Night Mail apes this approach, albeit modestly, it illustrates how Britain is socially, economically and technologically bound together. However, Wright’s love of the expressive grammar of silent cinema was disrupted by co-director Harry Watt, who wanted to focus on the life of the postal workers. It is creative tension in the best sense of the term. Interestingly, Watt’s eagerness to get across a flavour of the workers’ lives meant that the train interior had to be shot in a studio. 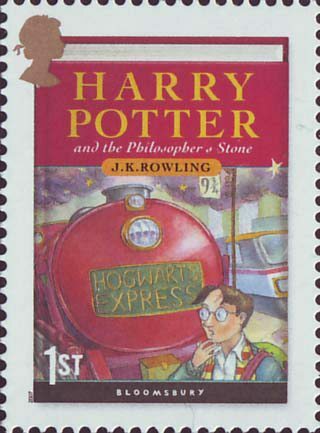 Night Mail’s ‘realism’ was achieved by building a set of the travelling post office and scripting the workers’ dialogue. Night Mail was also funded by the GPO to help improve morale. 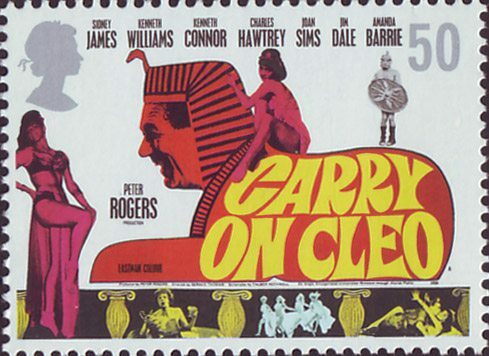 Beset by the industrial disputes of the slump era, the film was supposed to help staff understand how even the most humdrum of jobs could be of crucial importance. Not only is Night Mail probably the greatest train film of all time then, it’s also possibly also the greatest training film. Night Mail’s unique sensibility remains key to its appeal. The dialogue may be flat, and the acting might be wooden, but the film retains a whiff of authenticity. ‘There’s something in these bags all right, Bert’, a postman says at one point, to which the sparring reply is, ‘must be old Fred’s coupon night’. There is something about the dialogue that makes you believe it, and more than that, makes you trust the sentiment that underpins it. Then again, Myles Burnyeat has argued that the meaning of great works changes over time. The fact that every time you watch Night Mail it says something different might be what, in the end, makes it a classic. Dr Scott Anthony is a Fellow of Christ’s College, University of Cambridge, and co-editor of a new book The Projection of Britain: A History of the GPO Film Unit. The BFI have produced a new DVD The Soviet influence: From Turksib to Night Mail, featuring GPO films. From 1933 until its demise in 1940, many now celebrated talents of cinema and the arts worked for the GPO Film Unit. 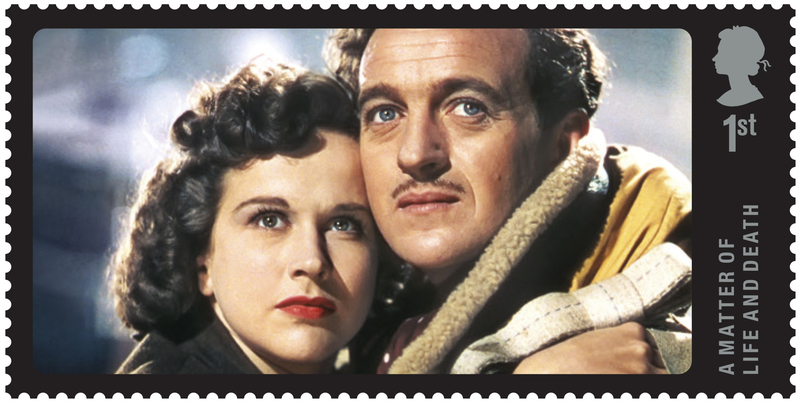 The films produced during the relatively short existence of the Unit had a major impact on British film, especially in relation to documentary film making. Benjamin Britten, W.H Auden, William Coldstream, Humphrey Jennings, Alberto Cavalcanti and John Grierson are just some of the names that appear in the credits. Made up of a dedicated, largely youthful (Britten was only 22 when he joined in 1935), but badly paid group of individuals the creative impact of the Unit has been immense. 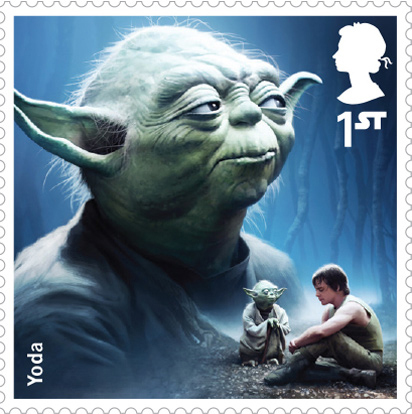 The Unit’s existence is credited to Sir Stephen Tallents who transferred it with him when moving from the Empire Marketing Board (EMB), where he had been working to modernise Britain’s image, to the General Post Office (GPO), where he set about doing the same. Tallents retained John Grierson to head up the Unit, and commissioned work from them and other artists as part of an extensive rebranding exercise for the GPO. It was Grierson and later Cavalcanti who were responsible for negotiating many of the complexities of working for a government department. Budgets were small and rigorously enforced to the extent that an overspend on Night Mail (1936) nearly signalled the end of the Unit. 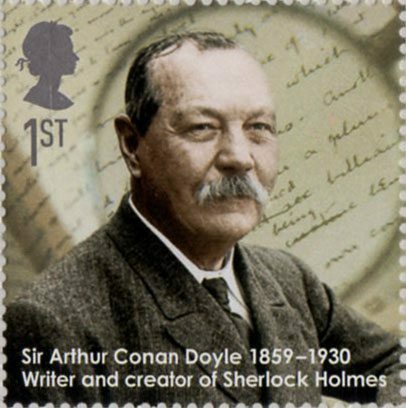 Today the films provide a fascinating insight into the history of communications in the 20th Century and of course, postal history. They include documentary, animation, advertising, public information films, drama-documentary and satirical comedy on a range of subjects, from postal rates to working class pastimes. Some of the films are a reminder of a bygone era and some are still strangely relevant; documenting the difficulties of delivering mail to a flooded village or promoting the Post Office Savings Bank which was secured by government backing in a money sensitive post-depression age. The films were shown in cinemas and other venues including schools and community halls reaching a very wide audience. 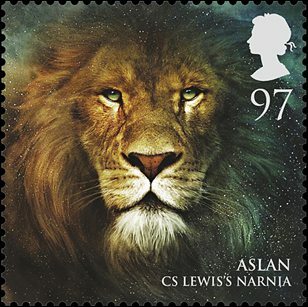 As a result of the popularity of stamp collecting The King’s Stamp (1935), commissioned as part of the Silver Jubilee celebrations of King George V, is apparently one of the most watched films of all time alongside Snow White and the Seven Dwarfs, Gone with the Wind and King Kong. There were mixed ambitions behind the unit including using film to advance PR techniques, experimenting with film and sound, and an intent to empower British Citizens with information through film. Grierson’s vision was for a documentary approach to film making where reality was key and where films had a social purpose: ‘It was something altogether new to be looking at ordinary things as if they were extraordinary’. 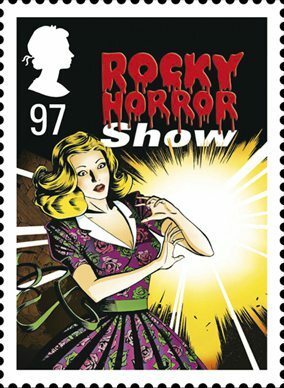 He was later joined by the Brazilian Alberto Cavalcanti, who had a reputation for experimenting with sound and music in film and eventually moved on to work at Ealing Studios. The combined presence of Grierson and Cavalcanti led to a hugely innovative period in British film history. Work by experimental film makers such as Len Lye and Lotte Reiniger meant that the public saw cutting edge film animation used to promote the services of the GPO. 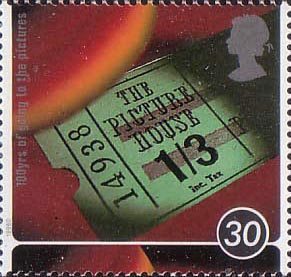 Examples include Lye’s 1936 film Rainbow Dance, a film about the Post Office Savings Bank which saw Lye experiment with new ways of using the Gasparcolour film, and Reiniger’s The Torcher (1938). 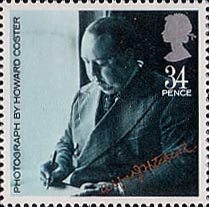 Lye pioneered the technique of painting directly onto film negative in Colour Box (1935), to which he had added a sequence on the introduction of new cheap parcel rates allowing the film to be bought by Grierson for the GPO. This was at a time when colour film was still a novelty so it is hard to imagine what the films must have looked like to audiences at the time. 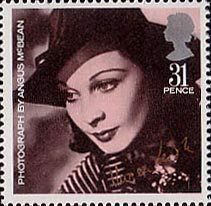 The influence of contemporary art, especially Surrealism, can be seen in films from the animation Love on the Wing (1938), promoting the new Air Mail service, to N or NW (1937) on the virtues of using the correct post code, although Love on the Wing was later banned by the Postmaster General, who found some of the imagery too ‘Freudian’. Rainbow Dance (1936) was even released in a programme of Surrealist and Avant-Garde films. Cubism was also an influence as was Soviet cinema, as seen in films including Coal Face (1935). 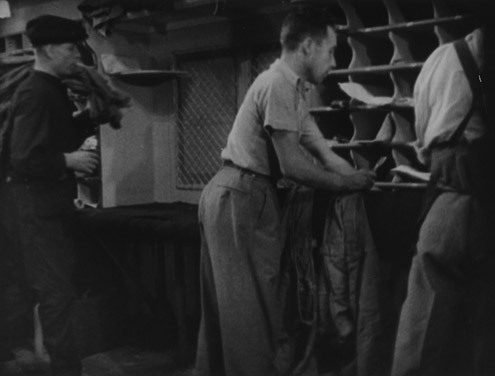 The documentary style saw its high point in the celebrated Night Mail (1936) where the journey of the overnight postal express for Euston to Glasgow is told through the eyes of those who work on the train; making the working man the screen hero. 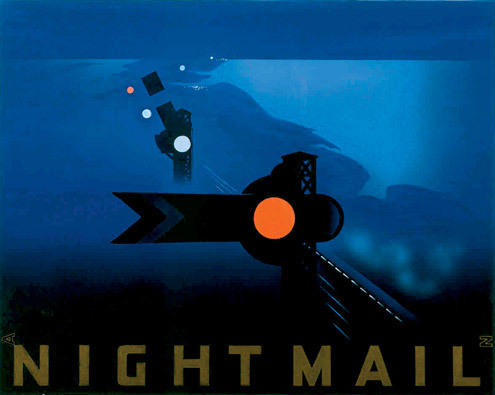 But the realism gives way to drama as the now famous lines of W H Auden’s poem are read to Britten’s score and the story of those who will receive the mail comes into play with the words ‘This is the Night Mail crossing the border….’. Grierson’s documentary vision at the Unit gave rise to drama-documentary and the seeds of our modern day soaps can be seen in films including The Saving of Bill Blewitt (1937) – seen as the first ‘story’ documentary – and Men of the Lightship (1940). In 1939 the unit began to document and produce films to support the war effort, creating an often poignant portrait of Britain during the early years of World War Two. Films included Britain Can Take It! (1940), produced to provide US President Roosevelt with help in securing American popular opinion for Britain’s war effort, to Men of the Lightship (1940), which was a dramatic reconstruction of the bombing of the East Dudgeon lightship –significant as lightships and lighthouses had previously been considered neutral. In 1940 the GPO Film Unit became part of the Ministry of Information as the Crown Film Unit and with that the GPO Film Unit was no more. Some of the films produced by the GPO Film Unit are now available on DVD from our Shop.